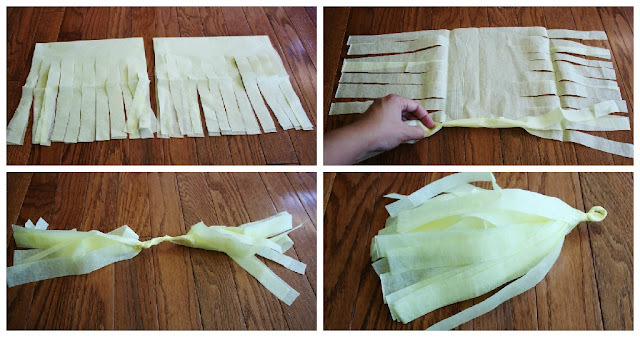 This tissue tassel garland is a breeze to make, just plan on about an hour to complete! Instructions:Fold your paper in half and cut vertical strips until you are 3 inches from the top seam. Next you will cut the tissue paper down the middle. 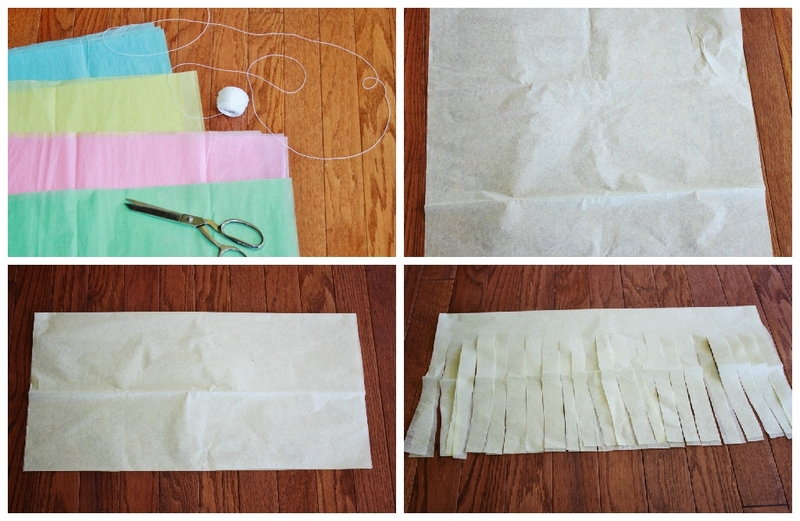 Unfold the cut tissue and have the middle seam facing you. Then tightly roll until the end. Next you'll twist in opposite directions, wrap around your finger and grab both ends to twist & hold the "loop" mold you've created. Now you just thread the string inside your loop & add more tassels to your string until it's as full as you prefer. And That's it:)! Let me know if you have any questions!